We first developed NdFeB/PrCo5 nanocomposite magnetic material by high-energy ball milling, and the influence of the different contents of PrCo5 on the magnetic properties of NdFeB was studied by means of XRD, DSC, and VSM. 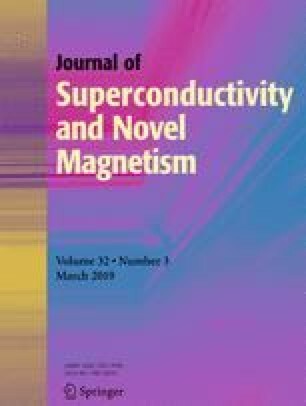 The results showed that compared with single-phase NdFeB permanent-magnet material, NdFeB/PrCo5 nanocomposite magnetic material has superior magnetic properties. When the content of PrCo5 is 10% and the time of ball milling is 10 h, the magnetic properties for NdFeB/PrCo5 nanocomposite magnetic material is best: coercivity is 13.2 kOe, which increased by 14.8% over pure NdFeB phase. Remanent magnetization is 96.31 emu/g and the saturation magnetization is 132.29 emu/g. The remanence ratio is 0.728. The authors of this work acknowledge the financial support from the National Natural Science Foundation of China under Grant Nos. 51472004 and 51272003.